Whenever you are in a market for a new house, the first thing you want to do is make certain that the construction quality is good. There are a number of ways that this can be checked, and there are many professionals in Southern California, such as those at western sand and gravel, that can help. However, for those who just want to make certain that their new home will not collapse on them, there are a number of steps that can be taken in order to ensure the quality of the construction. The first thing that one wants to do when checking the construction quality of a home is to check out the soil upon which the home was built. The soil, of course, is the very foundation of the home, and the composition of the soil will determine its quality. Any soil that has a lot of clay in it will tend to either expand or shrink based upon the surrounding moisture. As with everything else on this list, a professional can perform a test in order to check the quality of the soil. Structural design is also very important, particularly for those living in homes in Southern California. Most houses built over the last few years are capable of withstanding even the most devastating of earthquakes, but the last thing you want is for your home to collapse when a big one hits. Someone who is not an architect might have trouble deciphering how sound the structural design is, so in this case it might be a good idea to have a professional take a look at the blueprints in order to determine what the house will be capable of withstanding. The mix of the concrete is also quite important when it comes to the construction quality of a house. Because it is difficult to monitor the mix while the house is being built, the buyer should probably ask the builder to provide them with a certification of the mix that is being used in order to make sure that it will provide a solid foundation. The thickness of the walls is also very important to the house’s construction quality. Other than the frame itself, the walls are what hold the house up, so any buyer should make certain that the walls have a thickness that will provide good support. Discussing wall thickness with professionals is highly recommended. There are a number of other things that are involved with ensuring that the house will have a good construction quality, but the layperson is not likely to understand all that is required for a sturdy home. 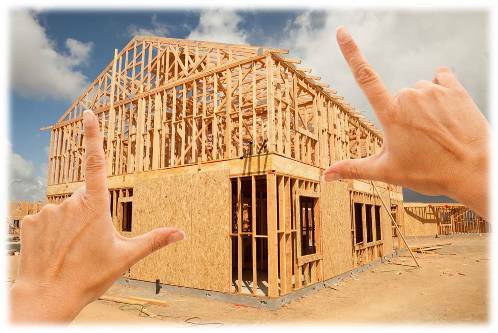 In this case, it is highly recommended that anyone in Southern California who is looking to build or buy a home consult a professional in order to determine the construction quality. Getting a third-party certification will give you a second opinion so that you do not have to trust only the builder to provide you with the superior quality that you desire.